Let’s get started with the recipe because I know you are super excited about EASY!! Sometimes I don’t post the simplest recipes. Today I am making up for that. Combine all the ingredients in a small microwave proof bowl and heat for about 3 minutes. Enjoy! I mean – if you really wanted to, I suppose you could bring everything with you to work and then just heat the meal up in the microwave when it’s time to eat it, right? Nothing from this oatmeal recipe will spoil. It all feels like it can travel. I don’t do that – I just eat it as soon as I wake up. But give it a shot if you are someone who likes to eat in the office. 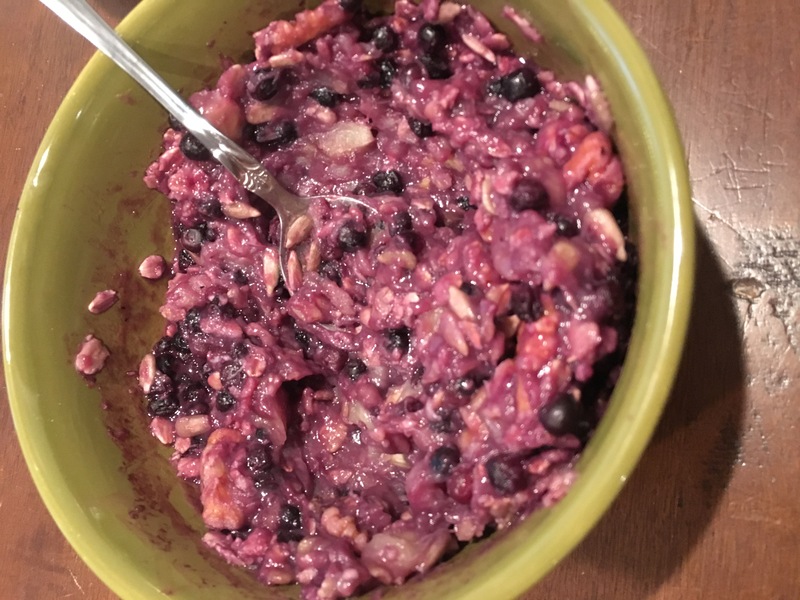 This oatmeal recipe is also something that the kids can make on their own. You just need to have the nuts and the berries on hand. If you aren’t a huge fan of nuts, you can omit them. Personally, I love that extra crunch! It’s just the texture I need to spruce up my meal. The mornings are just so crazy with getting all three kids out the door and ready for school. I need EASY. This oatmeal recipe is just THAT. It’s also a really great snack for the afternoon if you are super hungry and can’t make it to dinner. Listen, I’m not judging – I’ve been there. Are you an oatmeal kind of girl? Do you like pomegranate juice? You do not need to add any sugar to this at all! The fruit and the juice make it sweet enough. Trust me! Hope you enjoy. Let me know what you think if you give this one a shot. For more recipes, visit my EAT section. 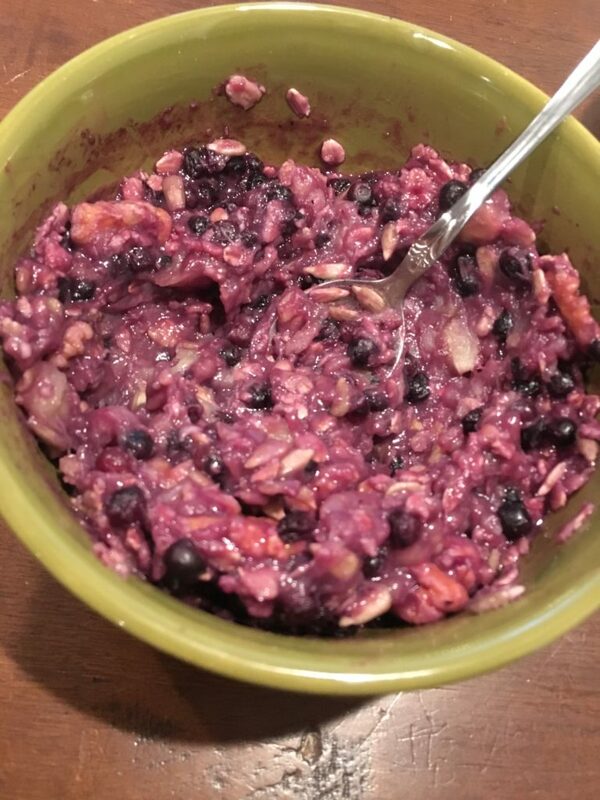 Great post – I am in love with having oatmeal for breakfast 🙂 Will definitely be trying out this recipe to change up my own flavors!